Unidentified ceremony, possible connected to Tortugas. 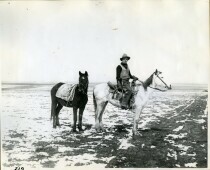 A cowboy out on the range--area unknown. 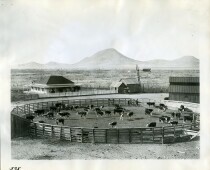 The identity of the cowboy is also unknown. These may be two of the newsmen who congregated in El Paso during the Mexican Revolution. 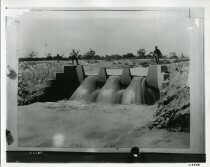 Irrigation is the artificial application of water to land to assist in the production of crops. 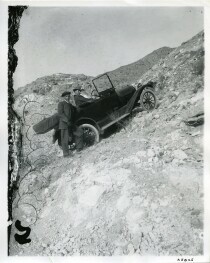 This pictures captures the U.S. Cavalry traveling on the road. This picture shows men, probably revolutionaries, preparing to fire artillery. 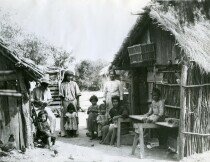 Image of family living in poor conditions. Family posing between two shacks. Five children and three women--one man. 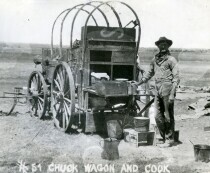 The Chuck wagon was the headquarters, rallying, eating, and resting location. Nick Williams was the cook. Images of the Mexican Revolution - 1910 - 1920. 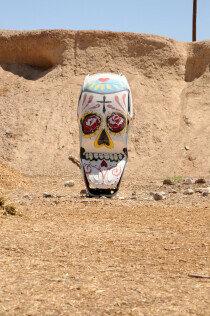 Image of Pancho Villa, top middle of the page. Orange classic car still drives around areas in El Paso. Unknown location. 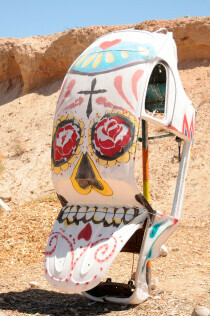 Bocho is slang for a Volkswagen Beetle (Bug).